This case study was performed in Q4 ´18 to showcase the General Audit Tool solutions provided to Scoop. Seth Currie-Rose, an engineer at Scoop, agreed to participate in this case study. No gratuity was given for this study. What do you feel makes your business stand out? S R: All the information I need in one place with the ability to drill down into the data i need. Ability to export the data and have scheduled reports. Scoop makes it easy to coordinate your daily carpool with separate morning and evening scheduling and the ability to ride or drive. Scoop’s algorithm selects the most convenient trip based on the most efficient route, nearby carpoolers, carpool lanes, and more. For a smooth trip, Scoop lets you know your carpool details ahead of time so there’s no stress on the day of the carpool. Employers form the backbone of the Scoop community. To date, over 35 partners have partnered with Scoop across the San Francisco Bay Area, Seattle, Reno, and Portland. Companies like LinkedIn, Symantec, Applied Materials, and T-Mobile have all helped their employees make the commute a meaningful part of their day. For enterprise, in particular GAT+ audit emails of all users at once. It identifies attachment flows into and out of the domain. It does domain wide email search, gather key metrics on email usage and compare email load for users in teams. For enterprise, in particular GAT Unlock gives the access to change ownership of documents and emails without the knowledge or permission of the owner. This can be achieved when there are at least two people in the organization who has control over that. One of them need to be an Administrator and the other person should be a senior executive in the organization. The cost which is required covers verification service and further security mechanism. For enterprise,in particular GAT Shield Enterprise offers a real-time DLP action and alerting system. The sensitive data is secured and we make sure that no information is passed to a wrong third party. The product alerts for things like credit cards,bank account numbers or HR details. GAT shield provides a detailed and centralized reporting of all Chrome activity,all Chrome extensions, all Chrome downloads,All Chrome site visits and all Chrome locations.It gives the chance to create alerts for events,screen captures,forced closing tabs and video captures. 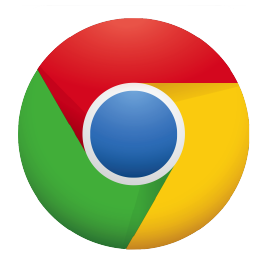 It is an extention which compliments the Chrome management in enterprise environments.